Have you ever noticed that staying organized — or getting started on a project and seeing it through to completion — are all in a day’s work for some people, but for others, they don’t know where to begin? Well, that might be due to executive functions and how well they are working — or not working. Executive functions are the cognitive skills that give us the ability to focus, plan, and act in a goal-directed manner — and current research shows that these functions are responsible for how effective we are at managing ourselves. Basically, these functions are the CEOs of our brains. For the most part, we don’t need to consciously access these skills for day-to-day habits or routines. However, when we face new challenges or stressors that is when the CEO must take charge. And when it is not managing effectively, that’s when we forget things, can’t get organized, can’t get started, lose track of time, and lose our stream of thought. It’s behavior that makes some children look unmotivated, uncaring, and, well, unintelligent — while nothing could be further from the truth. By and large, these children are really suffering from a neurologically based difficulty, which results from incomplete or immature development of their frontal/prefrontal cortex of their brains. It’s not that these kids won’t perform, it’s that they can’t on their own … yet. So how can we help? There are two distinct approaches. First, modify the environment. Help structure your child’s work- space, modify his work, and provide more prompts. Second, model actions and behaviors and join in with him as he works on his skills. Don’t be concerned that you may enable your child. Before he is ready to be independent, he needs to develop the necessary skills. Once the skills are developed, you will be able to gradually lessen your active involvement with your child. • Think of an agenda book or day planner as your calendar for your whole life, not just school. • Write all of your school assignments, after-school activities, and social plans here. • Use a large paper clip to mark the page you need to be on for quicker entry. • Use different colors for each subject binder and notebook. • Both binders for each subject should be the same color (blue for math, green for science, etc.) and have the same labeled dividers. • Keep one master reference binder with dividers for each subject. Here, you can keep any material that you might need to use in years to come, such as math formulas, social studies facts or periodic tables. • Perhaps two of your subjects can be combined into one larger binder or notebook for less to carry. • Be sure to label everything! Big bumper stickers work great. Have fun, and be creative! • Clean out your locker and/or workspace every week, to lessen the chance of losing papers. • Consider small trays to keep extra pens, pencils, tissues, erasers, etc. • Keep a dry-erase board or small notepad for writing reminders. • Try to keep your backpack on the hook, so there is more room to store items. • Keep an extra pen and pencil inside at all times. • Look in your assignment book and check your locker’s dry-erase board before packing up for the day. • When you get home, empty the entire bag near your workspace and sort the contents for homework and notes for parents. • Pack it up before you go to sleep at night, which will decrease the odds of forgetting things. • A kitchen timer is great for keeping you on task and allowing for time-limited breaks.Set it for various intervals to see if you are on task and on track. What works for you? Set a start time or break time on your computer or cellphone alarm for a discreet nudge. Set an alarm for the time you want to go to sleep as a reminder to pack up, brush teeth, etc. • Keep a dry-erase board or a small pad of paper by your workspace and use it to jot down things on your mind, so they can be done later and not distract you now. Write out your homework plan for the day — what you will do and in what order? It’s a great feeling to cross items off! Use it to plan out long-term projects or for math problems and other quick temporary notes. • Wear a rubber band on your wrist when you want to remember to do something, such as breathe deeply, speak powerfully, sit up straight, or take home your violin. • Put a chair by your door to remind yourself to take along important items tomorrow. • Send yourself an e-mail, text or voice mail to request that a certain task be done. • Have some friends over once a month. This can be a structure for cleaning your room or keeping up relationships with friends. • Devise an intentionally fabricated deadline on the day you start a project — such as scheduling a time to show a friend or family member your completed project. • Schedule study time with one friend a week for two months to get you to study a particular subject. • Counting is helpful to make you aware of your behavior. For instance, count how often you participate in class and work on increasing the number each day. Counting does not require you to do anything other than notice, but noting every time you do something heightens your awareness. • A special slogan on your key chain can be a structure to remember to smile or be positive. 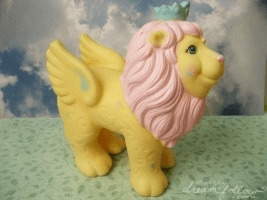 • A toy lion on your desk can remind you to be ferocious in pursuit of a goal. • Put your keys in the refrigerator so you remember your lunch. • Create a screen saver with one-line, motivational statements. • A coach is one of the best structures. Text or e-mail your coach every day when a certain task is done. • “To do” lists are not meant as nag lists — just a place to hold important things. Be creative where you put your notes; try to have it somewhere in your field of vision on a regular basis: the refrigerator, your desk, next to your bed. 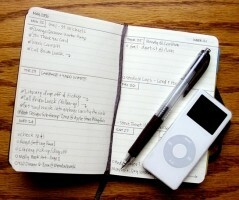 Try to develop a consistent habit of where you write and keep important notes.